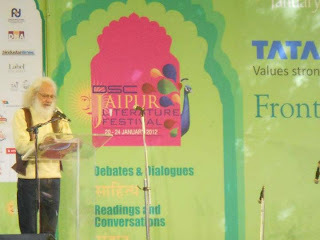 The threat of a ban, the artist’s dissent, self-expression, it was all there, in between the uttered words, at the inaugural session of the Jaipur Literature Festival 2012. The session was aptly called, Bhakti Poetry: The Living Legacy. 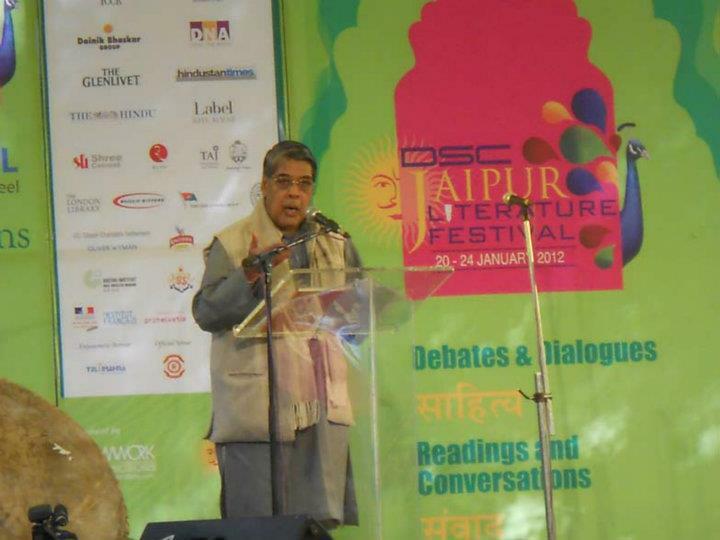 After an introduction and welcome by Festival Producer Sanjoy Roy; poet, literary critic, academician and activist Purushottam Agarwal spoke on bhakti poetry over the ages. He talked about the element of God as a child in bhakti poetry and about the poet’s equality and partnership in the relationship. This was followed by the keynote address of poet and translator, Arvind Krishna Mehrotra. This was less of a keynote address, but more of a recitation of the poems of Kabir, translated by Mehrotra himself, and some translations of Tukaram, as rendered by the Late Arun Kolatkar. Tukaram’s poems offered a rare angle of Tukaram’s wife, the words describing her lament, even as the poet’s fascination with Lord Krishna had lead to the husband not performing his conventional duties to earn a livelihood. Thus did begin the literature festival, with us not yet knowing, with or without Salman Rushdie?